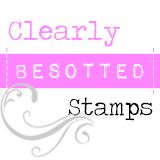 Ready for day two of the Clearly Besotted Stamps sneaky peeks of the new release? I hope so! If you're playing catch-up then check out yesterday's sneak peek here. The new release is available to purchase on Friday 5th September at 10pm (UK time). Yesterday I got a little festive with Eastern Delights. Today it's time for something a little more spooky with a grown-up twist for Halloween. Halloween Spirit is a simply spook-tacular stamp set featuring fun (and creepy!) images and sentiments. 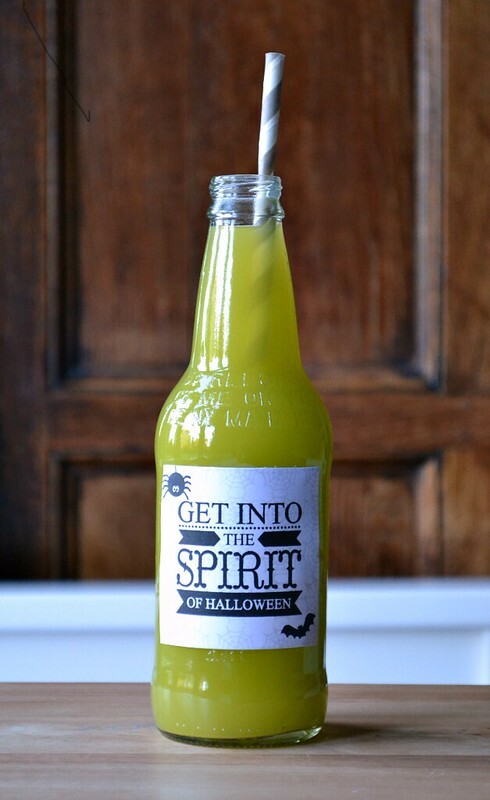 My eyes were immediately drawn to the sentiment used here and although I'm sure Stephanie was thinking of spirits associated with Halloween when designing this, my mind turned to the kind of spirits you can drink *wink*. So cue a custom-made label to put on my bottles filled with a special brew containing a spirit (or two!). I love the fact that word 'spirit' is the focal point of the sentiment - totally perfect for this idea! It might be hard to see on my picture, but I stamped the tiny cobweb stamp repeatedly to build a spooky background to my label and then simply stamped the sentiment, a spider and a bat. I'm not kid ding when I say that this literally took minutes to create so it could be easily mass-produced for a party. Well that's enough of the spirits for me at this time of the morning LOL! Why not pop across to Stephanie over at CBS HQ to check out even more sneaky peeks with links to the rest of the Design Team who are sharing teasers too? Who knows, you might even find a few more spirits on your blog hopping adventures today *wink*. I love this sentiment and the way you've used it! Great idea!! What a fun idea. Hey don't worry it's after 5 somewhere in the world. That looks so cool - I do like a green cocktail! Brilliant! Such a fabulous idea. I love the tiny spider and bat and the cobwebs in the background look wonderful. OH how cute and what great idea! I love it!! 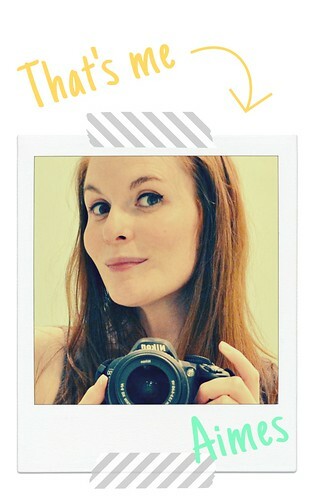 Thank you soooo much too, for taking the time to vote for my blog. You are just the sweetest. Hope all is going well in your new job.